Dutch Mountains has three members weekends a year: one in October, one in November and one during Pentecost or Ascension. The members weekend in November is a weekend that is only about laughter and amusement where the bikes are not allowed to come. The other two weekends are, obviously, all about cycling. In October we usually go to the Ardennes, and in spring to the Black Wood in Germany or the Vosges in France. Of course, there is also enough time to relax and for entertainment.. Sometime before every members weekend, you will receive an e-mail with further details. 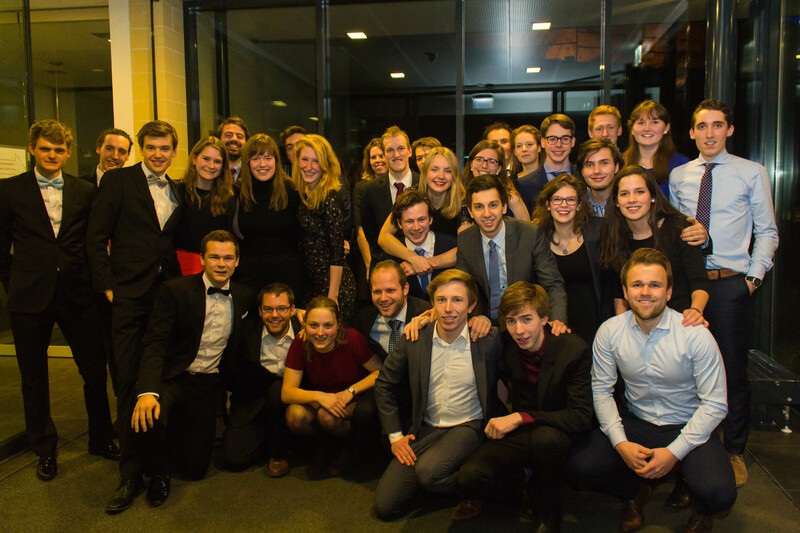 Every December the members of Dutch Mountains can admire each other when they are wearing their best suits or dresses at the SCOREN gala! This is a gala for all student sport associations at a beautiful location in Maastricht, and it always promises to be a lovely evening. To cheer on the new year we gather for a new year’s dinner every January! All dressed up we can enjoy a wonderful three meal course at our sponsor het Haselderhof in Valkenburg, where holiday stories are being exchanged whilst enjoying a glass of wine. One advantage of studying in Maastricht is that we have a carnivals break in February, which is a perfect opportunity to go on a cycling holiday to Spain every year. We organize this together with Squadra, de student cycling association from Eindhoven. This week always promises to be a wonderful, amusing and often sunny week! Dutch Mountains tries to make new students enthusiastic for cycling every August at the INKOM, which is the introduction week for all students in Maastricht. Besides promoting DM, we organize activities for interested members, and all members of DM come together to enjoy the last week of the summer break together. Besides all of this, activity committee organizes a social activity every month. This way, we have had a beer tasting, celebrated the traditional Dutch holiday Sinterklaas (Santa-Clause) together and went laser gaming in the caves of Valkenburg. Furthermore, we go for a drink every month, and after every training we also gather to have a drink.